Marianne Elliott’s gender-switched production of Stephen Sondheim and George Furth’s Company begins previews at London’s Gielgud Theatre September 26 prior to an official opening October 17. 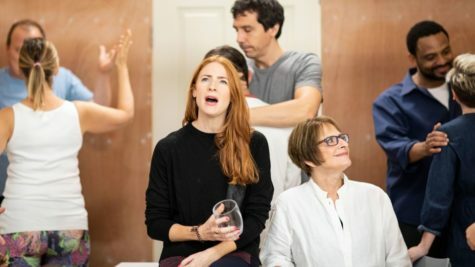 The “Company” company is led by Rosalie Craig in the central role of Bobbie, with Patti LuPone as Joanne — you know, “Ladies Who Lunch.” More photos here. Why Are “Company”‘s Balloons Hideous?